In 2019 Central Vapeur will move into the former Garage of the Coop, once a wasteland of the Rhine Port rehabilitated by the city of Strasbourg. In order to foreshadow the cultural, creative and social site of the Coop, the city has invited the future tenants to present themselves at the Street Bouche festival. A screen printing demonstration is programmed on Saturday 16/09 from 15h to 18h under the rule of Gargarismes and its headmaster, Pierre Faedi. The Coop 2019 bar is held by our volunteers and friends of Accélérateur de Particules and we serve the drinks provided by the festival. If there will be any profits we will keep them for our future actions. 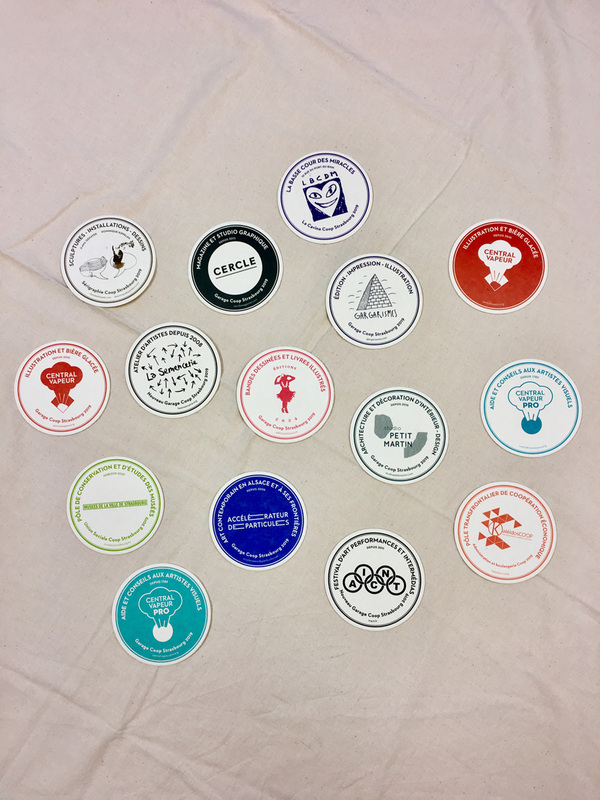 We also made pretty coasters (thank you to our trainee graphic designer Pauline Vasseur for the formatting during the summer!) for all the structures participating in the event.